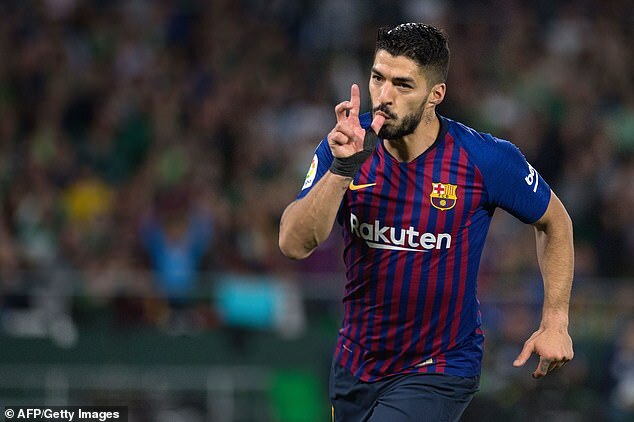 The 32-year-old Uruguay forward scored one and provided another as Barca won 4-1 at Real Betis on Sunday evening, but was taken off in the dying stages of the game. 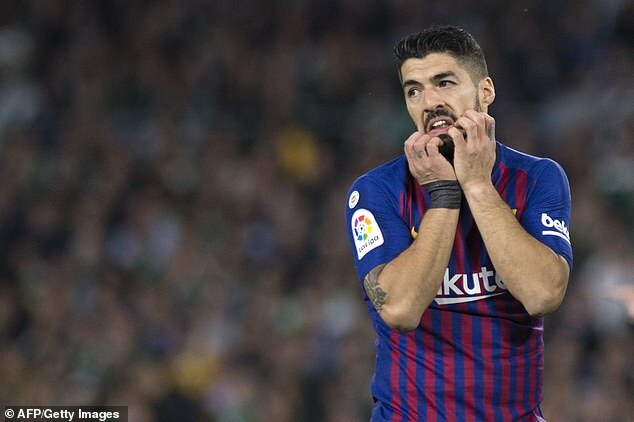 The La Liga leaders have now confirmed that Suarez ‘has a sprained right ankle’ and will miss the upcoming international break. Barcelona said in a statement: ‘The approximate time of loss will be between 10 and 15 days. Barca travel to Old Trafford for the first leg of the Champions League quarter-final against United on April 10.